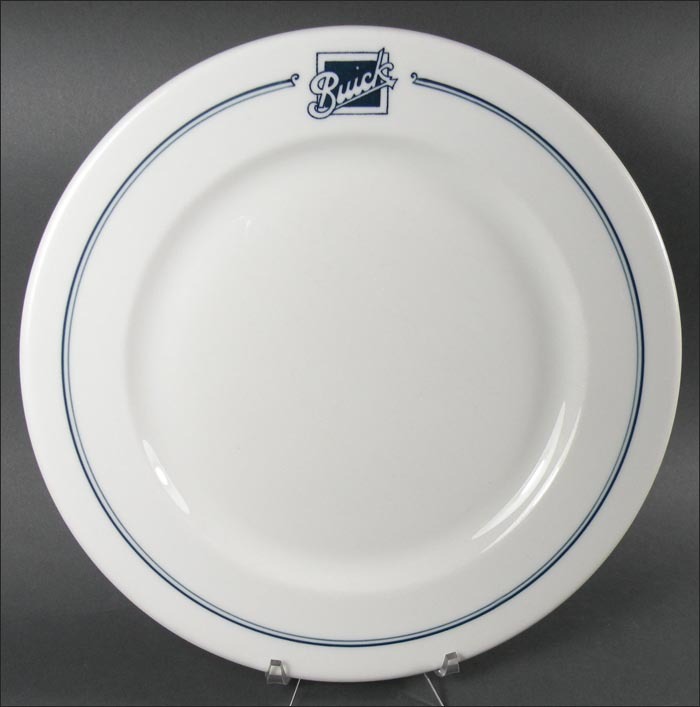 This handsome, heavy dinner plate is 9" in diameter and in excellent condition with no flaws other than medium use marks and a small dot of extra blue on the rim of the plate. 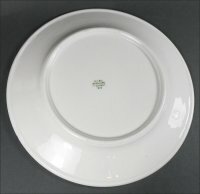 The plate has the O.P.Co. Syracuse China backstamp of G-2, showing that the plate was made in 1926. It was probably part of a set of china with the same Buick logo that was used in a corporate dining room at the automobile company's massive manufacturing facility in Flint, Michigan - later called Buick City. 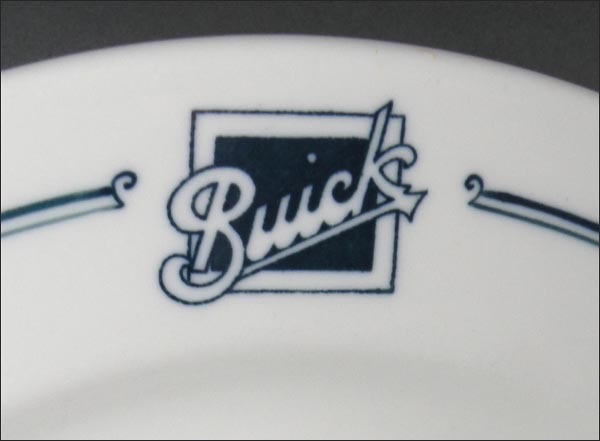 But of course there's always a chance that it was a dealership giveaway to anyone who test drove a new Buick back before the Depression.